We understand how people feel about their beloved vintage cars! We love them too! Which is why our design team can recreate any historic artwork such as a logo or decal from the past to authentically restore your car to its handsome former glory. 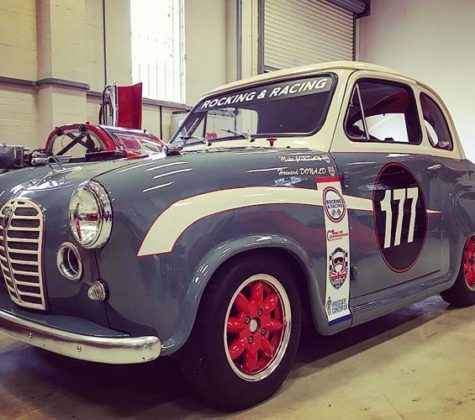 Our design team created a true likeness of this vehicle’s original heritage racing livery with new decals and number graphics. The finished vintage vehicle looks really authentic, taking us back to another era! 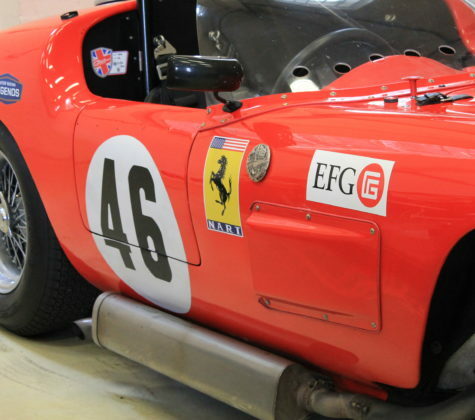 The graphics applied to this beautiful vintage Ferrari provided an exquisite finishing touch. We can research and reproduce the correct graphics for your vehicle so it really looks the part. Wraps can be part or full, for example, just adding enhancements to trim. Basically, the options are endless and the results stunning!